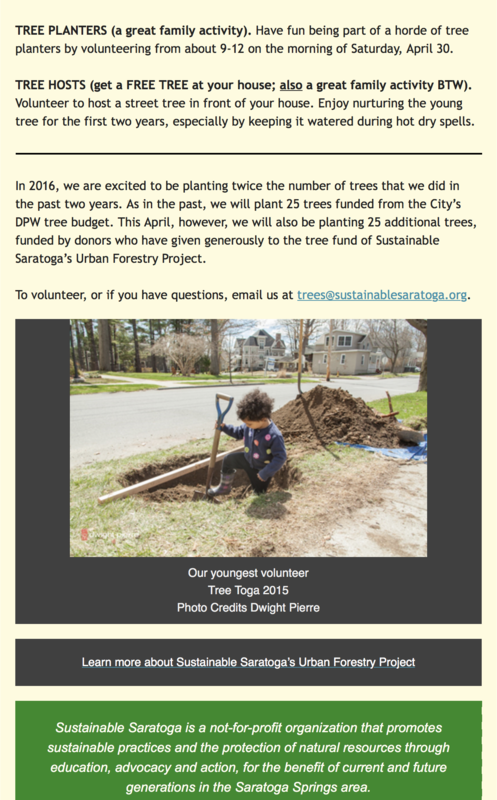 Sustainable Saratoga’s Urban Forestry Project has scheduled its 3rd annual TREE TOGA planting effort for the morning of Saturday, April 30. Volunteers like you are the key to the success of this annual event. With your help, we can grow a green legacy that will benefit our great city for decades to come. Please volunteer by sending us an email at gro.agotaraselbaniatsusnull@seert. 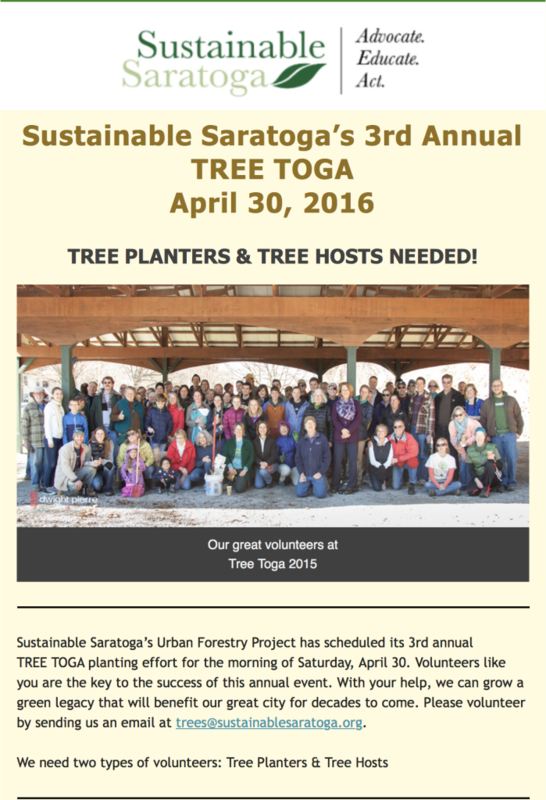 YouthSquared is going to work with Sustainable Saratoga’s 3rd Annual TREE TOGA – April 30, 2016, 9:15-12. Meet at the Farmer’s Market Pavilion at High Rock for a 9:30 Training. After the training people will drive to the planting sites. Wear sturdy shoes, gloves and bring a shovel if you can. Make sure that everyone registers at gro.agotaraselbaniatsusnull@seert – tell them your age and if you need to be partnered by an adult who can drive you to the planting site. A waiver will have to be signed by minors. At noon, there is an option to go out to lunch( pay for your own) with the tree planting community.